I have always enjoyed playing games. 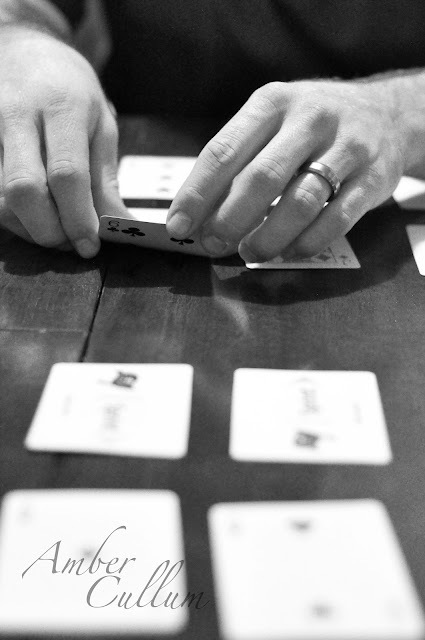 I have many memories playing Rook, Rummy, Catch Phrase, Loaded Questions, Clue, Sorry, Sequence, and the list could go on. Sam and I had not sat down and played cards together for a long time, so Friday night I took the opportunity to grab a photo. I just couldn't resist posting two. The one below I posted earlier this week HERE. I know I will cherish these photos all the days of my life. Little B and I ventured out this week searching for doorways to capture. 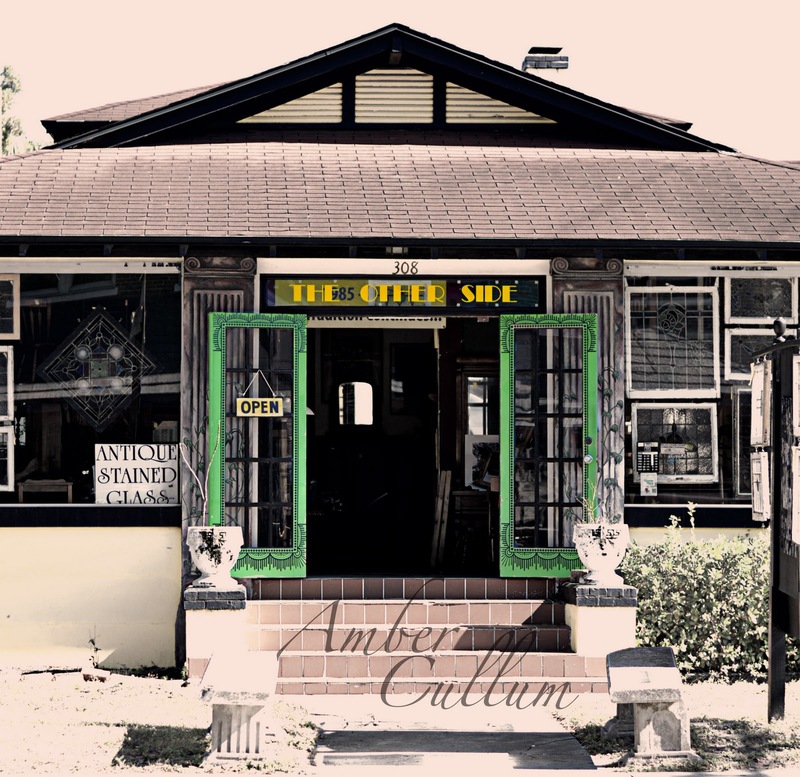 While walking around I came across this welcoming antique glass store. I wish I could have gotten closer, because I love the detail on the door(s). Downtown Tampa. 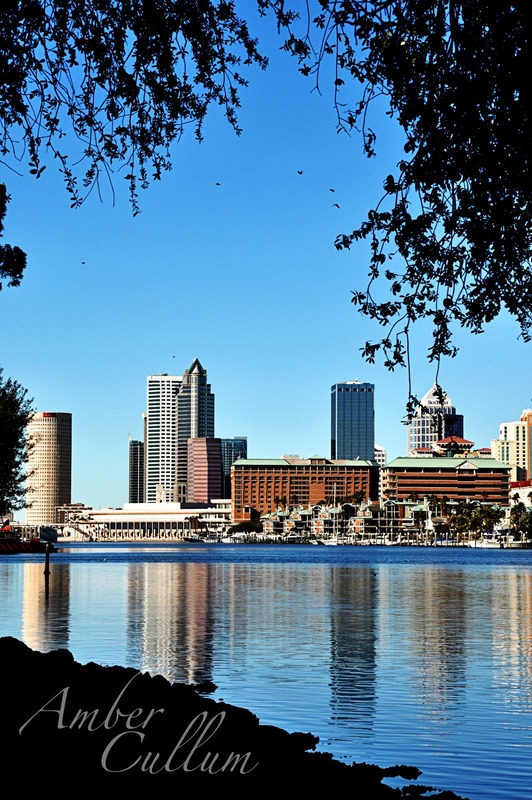 My hubby works in one of those buildings and it has taken me a long time to call this place home, but it is just that HOME. What is it, you may ask? The door handle to my SILVER car. 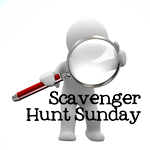 Be sure to head over to Ramblings and Photos to check out more Scavenger Hunt Sunday posts. Love all your shots, that silhouette is absolutely beautiful! Wonderful job! Silhouette is amazing! I love it! Your silhouette shots are stunning. Love the first one, especially and how you've caught the sun. LOVE your pictures, the silhouette shots are SO SO great and I really love the doorway one, that is the one I had the hardest time with this week! Amber - I continue to be amazed at how far you've come with that camera. You are really rocking it out. Those silhouettes are still amazing. Love them! The silhouettes are so sweet and really beautiful shots. I just love playing games too. Beautfiul silhouette shots! AMAZING SHOTS! I love them all but those silhouette shots are just BEAUTIFUL. I agree with everyone else- the silhouette shots are fantastic! I love the sunflare in the top one!! Love your sillouette shots too, that are just BEAUTIFUL. That silhouette picture is absolutely amazing, what a great memory! I also really like your silver shot. Some very artistic shots. Thought your silver one was very clever, I also love your memories photo,I also like playing games, and this brings back happy memories for me too! SO CREATIVE! Love that doorway shot! Absolutely fabulous, fabulous silhouette shots! Definitely ones for blowing up and framing. :) I LOVE them! All of these are wonderful... love your take on memories! And your silhouette is amazing! Great photos. I really love them all. :D I think my favorites are you silhouette and reflection photos. All of them are great but your silhouette shot has me speechless!